Eating healthier is surely on the minds of everyone nowadays. Diets have changed drastically over the last couple of decades. People are no longer filling their stomachs with fast food or food that is hidden by gravy and other fattening toppings. 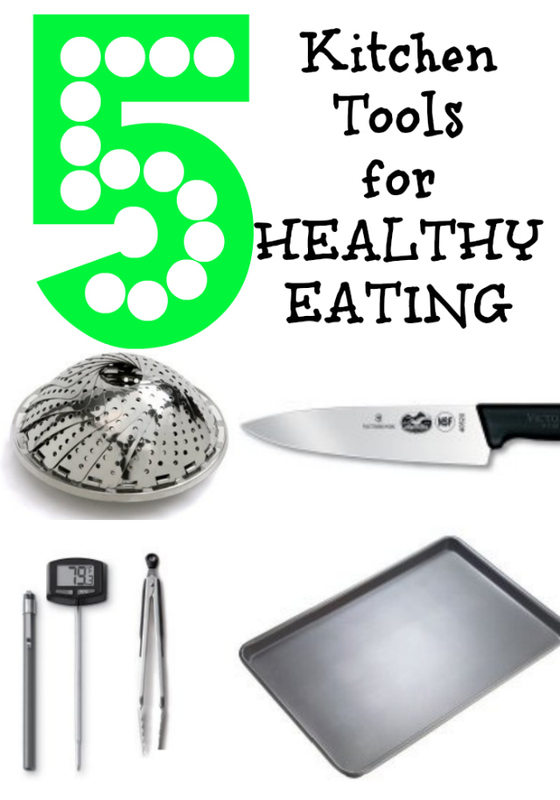 Here are 5 kitchen tools that will help you to eat healthier and perhaps maybe even loose unneeded calories before they sneak into your mouth! A basket steamer is a must for a kitchen. This handy kitchen gadget is an easy way to keep those veggies healthy! Vegetables are steamed rather than being submersed in water, therefore, retaining their color, texture, and nutritional value. A chef’s knife is a wonderful tool to have in your kitchen. Once you get the hang of using this tool, whole chickens can be easily disjointed and cut up. You will also be able to cut up cheaper cuts of meat without any problems. Not only is the chef’s knife used for cutting up meat, it can also easily cut tomatoes, and dice onions in seconds. Baking sheets are not just for baking cookies. Baking sheets are great for roasting vegetables. I know because this is one of my favorite ways of making sure that my family is eating healthy. Meat thermometers will help you to stay healthy because they are able to tell you when the meat has reached a certain temperature. This will ensure that you meat is cooked properly without causing salmonella or food poisoning. My kitchen tongs are one of my favorite kitchen tools because I use it for EVERYTHING. I use them to remove eggs from a steaming pot, turning the Skinny Taste Baked Chicken Nuggets on a baking sheet, and even for serving salad. All done at different times, after the kitchen tongs have been thoroughly washed, of course. 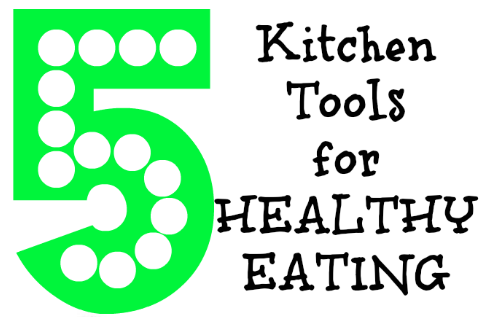 These 5 kitchen tools are a must for healthy eating. If you do not have them in your kitchen, make sure to pick them up soon.